narrated by Lauren Meyer of the Higher Education Student Association at Florida State University. Leadership for a Better World offers leadership educators a greater understanding of the Social Change Model of Leadership Development and provides tools for teaching the model to others. 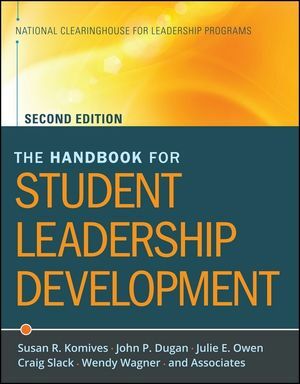 The 2nd edition of the Handbook for Student Leadership Development provides leadership educators with the tools necessary to design, implement, and assess innovative leadership programs for students.